(TORONTO, ON – October 20, 2016) Pavement? Who needs pavement? 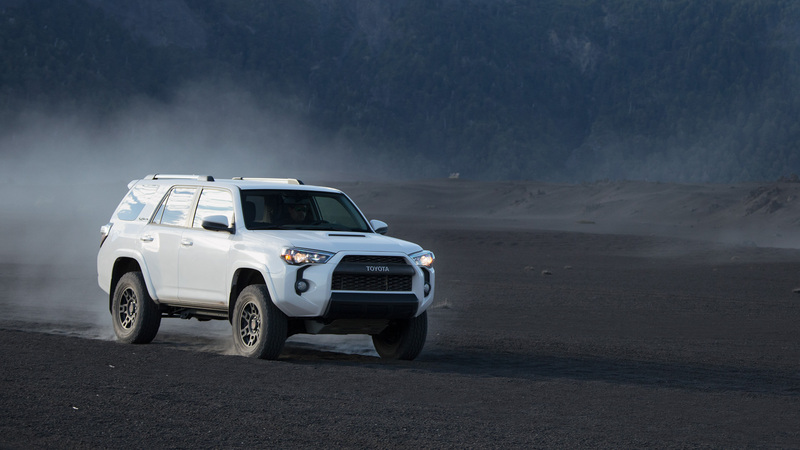 The Toyota 4Runner TRD Pro screams, “Bring on the trail!” Offered for the first time in Canada, the 4Runner TRD Pro headlines the 4Runner line-up for the 2017 model year, which also includes a new TRD OFF-ROAD package. The 2017 Toyota 4Runner TRD Pro features several unique TRD Pro performance upgrades, including TRD-tuned front springs, TRD Bilstein high-performance shocks with rear remote reservoirs, and 31.5” Nitto Terra Grappler all-terrain tires on 17” matte black aluminum wheels with TRD centre caps.